May be changed at any time during the outing, since the way from the hotel – which leads to the thickets of the Jerusalem Hills and its marvelous quietude among the trees and to some of the most beautiful landscapes you will encounter – and the route back to it, are the same. 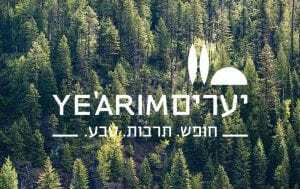 It’s easy to believe that when Israeli Songwriter Naomi Shemer composed the line “mountain air clear as wine, and the fragrance of pine,” she was thinking of this very path. immediately right, onto a dirt road with a red marker, similar to those the length of route. and then return along the same red-marked path, you will have walked exactly six kilometers. they are fairly easy to cover on foot.